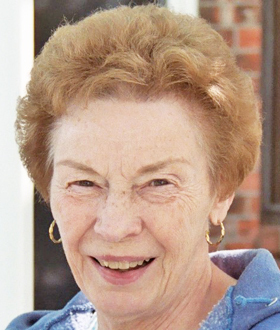 CIRCLEVILLE–Shirley Mae (Leibhart) Handwork, 85, of Circleville, formerly of Salem, died at 3:33 a.m. on April 11 at Storypoint of Grove City. She was born on April 16, 1933 in Salem, a daughter of the late Michael G and Arline (Davis) Leibhart. She is survived by her daughter, Brenda (Robert) Johnson of Circleville, and one granddaughter. In addition to her parents, she was preceded in death on May 31, 2003 by her husband Donald Handwork Sr. and her son, Donald Handwork Jr. (Dec. 26, 2018). Services will be held at noon on Saturday at the Arbaugh-Pearce-Greenisen & Sons Funeral and Cremation Services with Bruce Rhodes Jr. officiating. Visitation will be held from 10 a.m. to noon Saturday.